Of course, you want to eliminate those awful debts that are keeping you up nights but don’t know what to do. 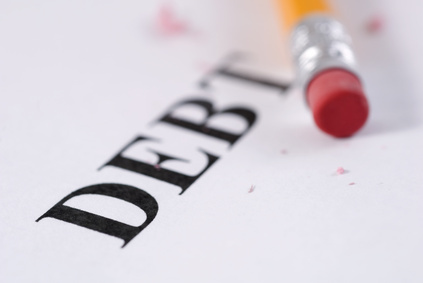 If this is the case, here are some good debt elimination tips. Write down all your liabilities. Make a list of all of your liabilities or debts so you’ll know exactly how much you owe. Put them in an Excel spreadsheet or the Google equivalent. Your spreadsheet should have four columns – one for monthly payments, one for interest amounts, a third for balances and a fourth that would be a running grand total of all of your balances. If you update your spreadsheet monthly as you pay off debt, you will be able to see the amount of your debts go down slowly. This can be a very inspirational tool. Maybe this should go without saying but I’ll say it anyway. You have to stop using credit cards especially if you’re using them to just get from one paycheck to the next. Another way to put this is to start spending less than you earn. The reason why you’re having a problem with debt is because you’re doing just the opposite –spending more than you earn. Every month you do this, you’ll slip further and further into debt. If you have multiple credit cards, get rid of all of them but one. Keep the one to use in case of an emergency. Make sure it has a low limit and a monthly payment that would not exceed 25% of your income. Before you do anything else create an emergency fund. Use extra money such as from your tax return to build it up. Once you have the equivalent of 3 to 6 months in your fund, you can start paying off debt. Determine your and your family’s spending tendencies and put limits on them. For example, if you tend to spend too much on clothing, set a limit of, say, 10% of your monthly earnings and then stick to it. Keep track of your spending for at least a month so that you’ll know where your money is going. After the month divide your spending into categories such as entertainment, food, healthcare, insurance, savings and so forth. Set a limit on each category by percentage such as 25% for food, 5% for entertainment, etc. There is any number of software tools and smart phone apps that can help you track your spending, make a budget and tackle your debts. Try experimenting with a few until you find the ones that work best for you and then stick to them. If you’re having a problem with debt, it probably didn’t happen overnight. It most likely took you several years to get into this fix. Be realistic and understand that it will take you a lot more than two or three years to get out of debt. Keep working at eliminating your debts and be patient. Look at how you spend your money and think of creative ways to do better. For example, if you believe you don’t have time to cook at home instead of eating out, buy a crockpot. Spend 10 or 15 minutes chopping and cutting in the morning and you’ll have a nice, tasty meal waiting for you when you get home after work. Try dropping some of those premium cable channels and spend nine dollars a month instead on Netflix, iTunes or Hulu. Depending on where you live you might be able to get a lot of digital channels over-the-air free and drop cable or satellite service entirely. If you need to buy a big item such as a dishwasher, save up the money and pay cash. This will take some patience but just think how good you’ll feel when you walk into that appliance store and hand the clerk a check or cash. You’ll have the item you need and you won’t have created a cent of debt.